Linda Foens has been a fan of Hillary Clinton since Bill was elected Governor of Arkansas in 1978. She supported both of Bill's Presidential campaigns, and takes pride in the fact that Bill Clinton was the first POTUS to receive her vote. "I thought Hillary Clinton was one of our finest First Ladies." Linda recalls. "When she ran for the Senate in New York, I was so excited that this incredibly smart, rock-solid former FLOTUS was running for office. This was also the first time I thought, “Hillary could become our first female President". 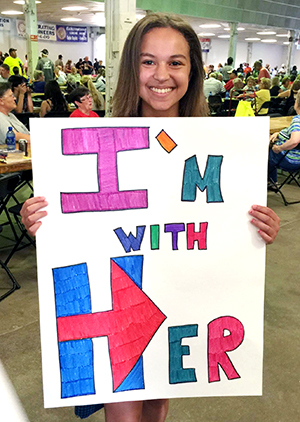 In 2008, Linda was an eager and devoted HRC volunteer in Cedar Rapids, Iowa. She made calls, put up yard signs, and donated money. But like many of us, she was disappointed when Senator Obama received the nomination. "I took Hillary’s cue, and fully supported Obama. When he was elected President and chose Hillary to be his Secretary of State, I was beyond thrilled. She did a fantastic job and is considered one of the best in our country's history." Linda adds, "I have to admit, that after Hillary left her post as Secretary of State, I wasn’t sure she would run for president again. Then on April 12, 2015, Hillary announced that she would run. Her video was spot on. I remember getting goosebumps and telling my husband that this is her time." Linda and her husband, Scott, wasted no time in meeting with their local Hillary Clinton campaign organizer, who had just landed in Cedar Rapids, Iowa. They signed their "Commit To Caucus" pledge cards, and have been ALL IN ever since. Their two children, Sydnei and Fayde (pronounced Fade), are also enthusiastic Hillary supporters. 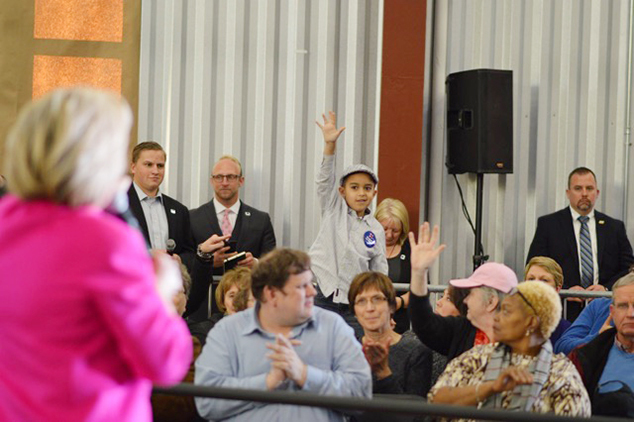 "Our son has been the face of Hillary for Iowa. He has been featured in videos, on HRC Facebook, and on HRC Instagram and Twitter photo feeds. He has lead cheers at the JJ dinner, and was our Local Office Greeting Ambassador, hosting guests including Scandal’s Tony Goldwyn and Secretary of State Madeline Albright", Linda proudly reports. 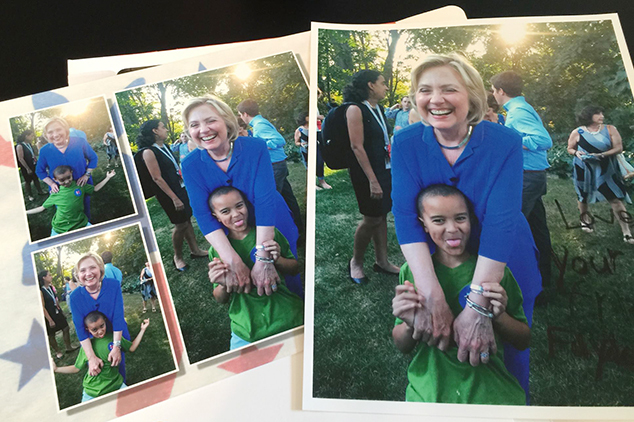 "Our family is committed to doing whatever we can to see that Hillary Rodham Clinton, the most qualified candidate to run for President since Jefferson, is also the first female and 45th President of the United States of America." 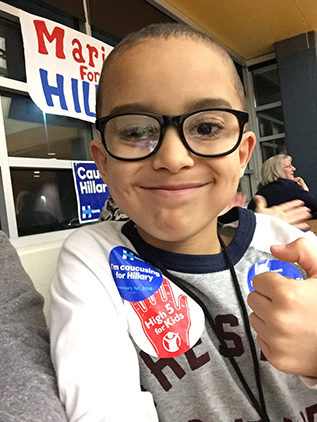 Linda's son, Fayde, chillin' with Hillary on her official Instagram feed!